Latest version of CentOS integrated with the lightweight yet powerful Nginx web server. We, IGS, provide a list of images pre-integrated with most popular software for web solution. It includes ready-to-run versions of Apache/Nginx, MySQL, PHP, phpMyAdmin and all of the other software required to run each of those components. IGS image greatly simplifies the development and deployment of web applications. This image is built with CentOS 7.2 and bundled with following popular software for web service solution. 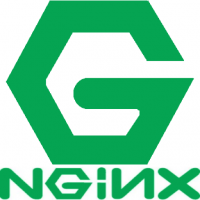 In order to display web pages to our site visitors, we employ Nginx, a modern, efficient web server. Optimized to add your security concern. Place your files into a directory called the "document root" of the server. The document root is at /data/wwwroot/default/ by default. Place your files there. When you are finished (provided that your domain name has been updated around the world), you should be able to access your site in your web browser.